Rapidly evolving consumer behaviors are forcing retailers to change the way they do business. Today’s consumers choose when and how they interact with brands. In response, brands must offer seamless, relevant experiences across all channels and touchpoints to properly serve them. This means aligning everything from inventory availability, pricing and order fulfillment to delivery and post-purchase support. 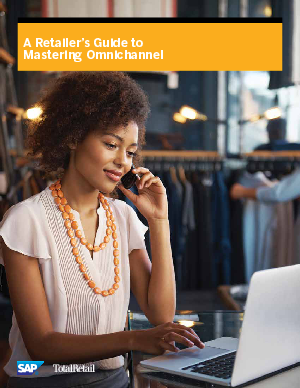 SAP and Total Retail recently conducted a survey on how top brands are succeeding in an increasingly omnichannel world. This report sheds light on what retailers are focusing their time and resources on as they try to serve consumers on consumers’ terms, not their own, and become true omnichannel brands.